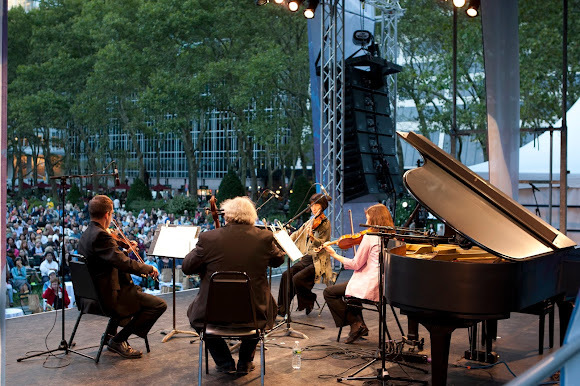 Orchestra of St. Luke’s, one of the city‘s premier ensembles, will perform a special concert at Bryant Park’s Upper Terrace from 6:00 to 7:00pm on Tuesday, September 24. This will be the ‘Manhattan leg’ of the annual St. Luke’s Subway Series, during which it performs in each of the five boroughs. This year's series is titled Brass Gardens and features St. Luke’s Chamber Ensemble performing outdoor concerts of brass music ranging from Elizabethan courtly dances to American ragtime classics. As in past years, OSL is joining with City Harvest to collect food for the city’s hungry during this concert series. The performances at Bryant Park and the other four locations are free and open to everyone, but attendees are encouraged to bring food donations. If you love gourmet ice cream as much as exquisite music, you’re in luck because Melt Bakery will be on hand to sell their delectable ice cream inventions before and after the performance. 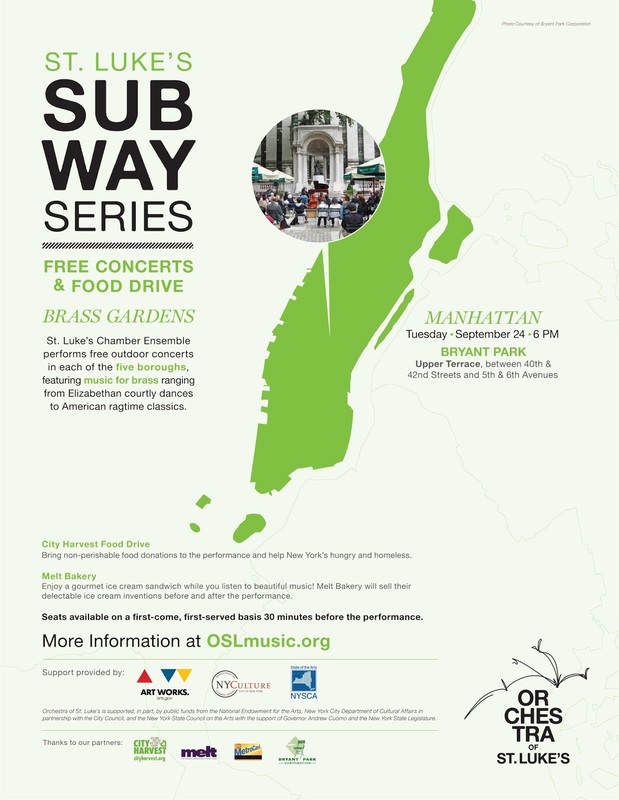 And folks who show their MetroCard at the box office table at any Subway Series concert venue will receive a free 4 Seasons DVD featuring St. Luke's Chamber Ensemble while supplies last. You can read the newly redesigned MidCity News online, or sign up to receive it in your inbox.